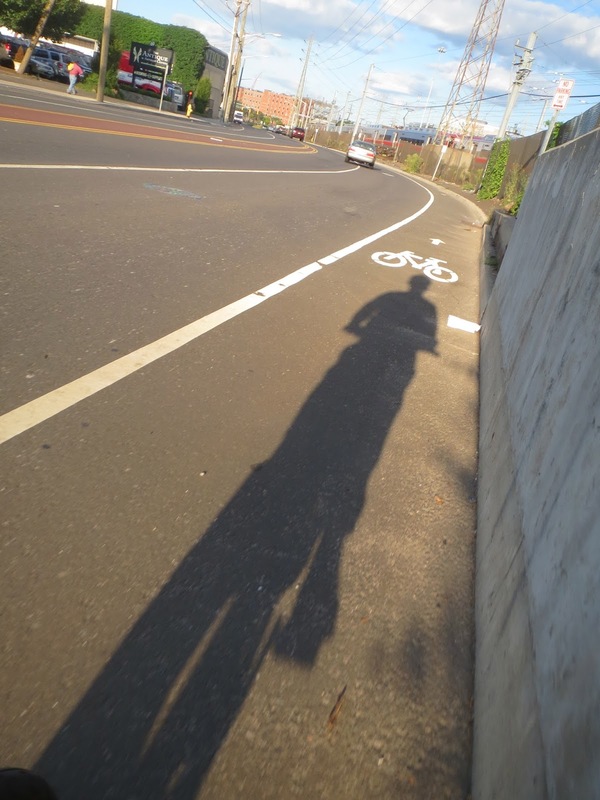 I was recently appointed to the Connecticut Bicycle & Pedestrian Advisory Board. As a result, the tone of this blog will become much more serious. Think a cross between a somber PBS news read and an after-school special that involves an overdose. 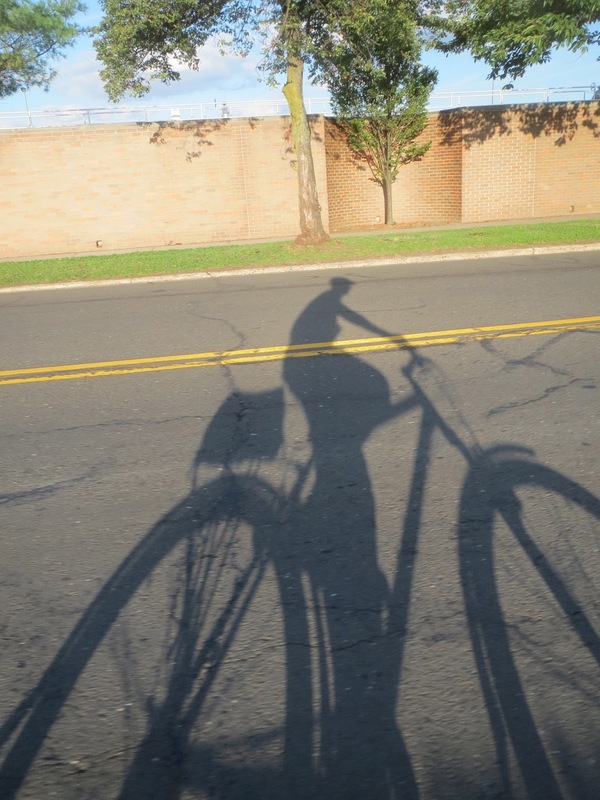 Being a part of the board, though, has changed my perspective - as a cyclist, an SUV owner and a Stamford resident. I'm noticing things that I didn't notice before, like that I only get to enjoy a bike lane for a quarter of a mile for my entire 3.5 mile commute from my home to my office. One quarter of one mile. That's all I get for leaving my car at home, and like I've said before: if ten people are driving cars downtown today and just one of them decides to ride a bike tomorrow, traffic will move a little easier for the other nine. I also began to think about the bicycle-friendly cities around the world I've been fortunate enough to pedal in - Barcelona, Cleveland, London and others - and I realized something: all this time I've thought of Stamford as a bad place to ride, but that's really the wrong way of thinking. It's really a fantastic place to ride. There are beaches, great businesses and restaurants downtown, and the most populated areas of the city are mostly flat. The thing is, to a leisure cyclist or a bicycle commuter, Stamford is the Charlie Brown Christmas tree of cycling cities. It just needs a little love, and no matter who becomes the new mayor later this fall, it would be ideal if some of that love started at the top - and began downtown, because that's where a little bit of cycling infrastructure would go a long way. It also occurred to me that Stamford's traffic, or any city traffic, doesn't care what political party you belong to. It just cares about taking up your valuable time. I then made it my goal to reach out to all three of the leading candidates running and ask them something. 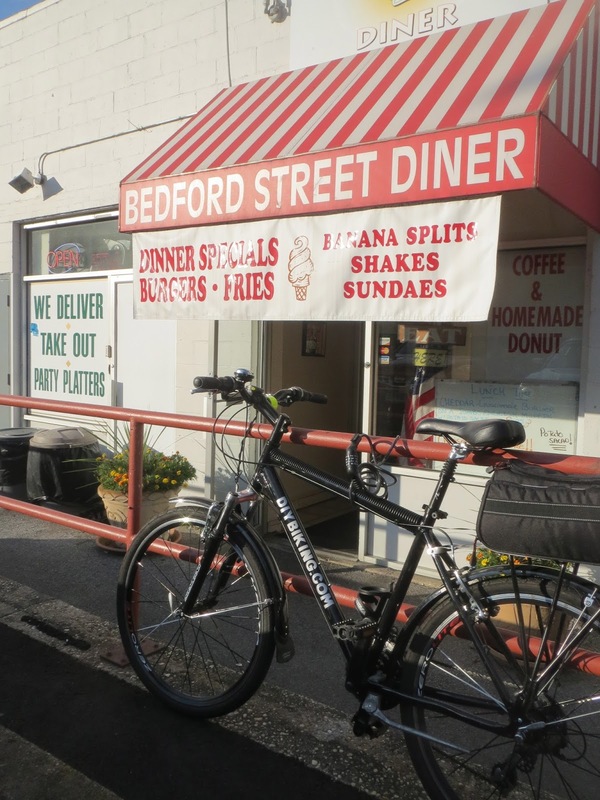 I didn't want to corner them with questions on certain projects, get policy out of them or turn this blog into any kind of campaign vehicle, but instead wanted to ask: will you take a one-mile bike ride with me through downtown Stamford during rush hour? I wasn't expecting any of them to be transformed by this. At the very least, I simply wanted to do something that could change their perspective on not just how bicycle-unfriendly the city is now, but how good the city could be someday. The thing about all three candidates is that as of this writing none of them have a page on their sites regarding transportation issues in the city. I'm not holding that against any of them. I've volunteered on political campaigns and know how disorganized and chaotic they can sometimes be - especially in an off-year election. When and if they do add pages about transportation issues, I will put up the links. I didn't have their direct e-mail addresses, but all three of their web sites featured either a generic 'contact us' page or e-mail address where I introduced myself, told them about the Connecticut Bike & Pedestrian Advisory Board and asked each one if they'd separately take a one-mile bike ride with me from the Bedford Street Diner to 888 Washington Boulevard (where the mayor's office is). Yes, I was giving them campaign hay. Whether they'd want to reach for their pitchforks and scoop it up or not would be up to them. I stressed to the candidates - or, rather, to the campaign worker/volunteer who was going to see the message first - that I wasn't going to make one of them look better than another. I wasn't going to judge any of them on their choice of attire, their choice of equipment, how good their bike was, or their skill level. I told them I was going to write about it and take pictures but I wasn't going to cover how frightened any of them would be at the finish - if applicable. Seriously: if a candidate were to arrive at 888 Washington Boulevard and curl up in a ball and quiver, I wouldn't write about it. That point is more important than it sounds. I did not want some James Carville/Karl Rove-like campaign manager to tell a candidate to nix the idea for fear a 'Dukakis in a tank' photo would be the legacy of this exercise. I also offered up the use of a bike to borrow, if it was necessary. I know that puts a little bit of pressure on my occassionally primitive maintenance and repair skills, but I was trying to make the list of excuses to do this as short as possible. So I waited and eventually heard back from all three campaigns. The first candidate I was able to schedule something with was Michael Fedele, and he and I worked out today (Friday, August 16th) at 8:00am to be the time to meet for the ride. The other candidates I am still trying to put on a calendar. I needed an appropriate bike for the exercise - something that wasn't intimidating but good for city riding, so this is what I brought: my office bike. It hasn't changed much since it was nearly stolen a couple of years ago, and as you can see I even added the ultimate symbol of a non-serious cyclist: a kickstand I had commandeered from a Saved from the Scrapheap bike. The night before the ride, I got nervous. I realized I had never done the route myself before (Up Bedford, left on Oak, left on Summer, right on Broad, left on Washington) and I was worried. I didn't know the skill levels of any of the candidates or if they even had experience with city riding. Were Fedele to get hit by a car it would probably make it more difficult to get the other candidates to ride with me. In addition to the other, more serious problem. I managed to stow my worries/imagination long enough to ride out to the Bedford Street Diner around quarter past seven in the morning, hoping that one day I'd get to ride on more than just 1/4 of a mile of bike lane on this sort of trip. Thanks to hitting most of the traffic lights green, I arrived about a half hour early, which gave me just enough time to ride up Oak and take the left on Summer. It shouldn't be too bad, I thought. The empty display case on the counter gave me my answer, so I enjoyed a cup of coffee instead. A few minutes later, Michael Fedele arrived. And, like me, he was carrying a bike helmet. As he explained, he was more of a recreational rider and had to borrow a bike from his son in law to do this since he kept his own bike elsewhere. In keeping with my promise to him and the other candidates, I will not put any focus on his skill level or choice of equipment. We talked about what he thought about bike lanes and cycling infrastructure in the city, and if and/or when his campaign adds a page that would explain how he'd approach transportation issues, I'll add it here. Just as the donuts materialized in the case (I didn't have one this time) Fedele did tell me the longest ride he had been on as a kid: when he was in middle school in the 1960s, he rode from the West Side of Stamford to Turn of River, and marveled that when he would visit Italy (where he was born in 1955) people would ride bikes anywhere and everywhere. I met his campaign manager, Patrick, who is nothing like James Carville or Karl Rove. He was not going to ride with us, but Chris, a blogger from Stamford 411 who arrived later would. Patrick said he'd come in a car and would give a ride to someone from itsrelevant.com, who wanted to film us with her camera. I politely asked her not to pace us too much since I wanted the ride to be as authentic a commuter experience as possible, and she agreed. We gathered outside so Patrick and the rest of the group could get ready and take photographs. Each candidate I do this with will get one photograph of themselves on my site wearing a helmet, so here I present Republican candidate, Michael Fedele. We set off and easily made the right turn onto Bedford and the left down Oak street. Moments later, we saw this, on Summer Street. With the traffic moving at a crawl, we decided to strike out through a gap in front of a stopped truck. Keeping an eye on the candidate in my helmet mounted rearview mirror, we pedaled through the space between the slow moving cars and the parked ones. I commented that a bike lane might make the space more consistent as we negotiated a white minivan that was invading our personal space. It wasn't until we had turned right onto Broad Street where we got to truly share the lane with the cars as we were making a left turn. While we did NOT ride side by side for the mile, the red light at Washington Boulevard did give us a chance to talk. We safely made the left turn and continued down Washington Boulevard, finally ending up at the government center. We talked some more and before long, Patrick arrived in the car. Writing this now I realize I could have pointed out to Fedele that the car was a lot slower to cover the mile, but I didn't at the time. I thanked them and after talking a few more minutes, we parted company. As I said, I'm refraining from talking too much about his or any other candidates policy positions, and if and when the candidates do put pages on their web sites about transportation issues, I'll put the links here. So I succeeded in that I rode with a candidate who did not die and who, at the very least, will return to the campaign trail with hopefully a new sense of perspective on getting around the city. I sincerely thank Michael Fedele for taking the time this morning to ride with me and I will keep you in the loop as I try to get on the calendars of the other candidates. And if you want to try your own Cycling with Candidates in your own city, please do so. Thanks for reading and thanks for riding - especially if you're in Stamford. That's pretty cool! What a great way to be an activist without being partisan on an issue that affects anyone who uses the street: cyclists, pedestrians, motorists. This is a cutting-edge political issue directly related to, among other things, energy which gets all the money attention, and to quality of life which gets little attention at all. Cheers! excellent story and wonderful way to bring the challenges of bicycling to the attention of our candidates for Mayor...congratulations Mike Norris for reaching out, and the People-Friendly Stamford group (an initiative of Reinventing Stamford) is so proud you are part of the PFS grassroots energy! Keep us posted on your next ride. great idea - I recently contacted the city to post 'share the road' signs on Westover Road on the approach to the popular mountain bike trails at Mianus River Park - no response. Riding to the park is dangerous on Westover, cars whiz by giving no room to cyclists. Stamford could be such a bike friendly city if it tried. Fedele is the only candidate I have reached out to who replied to my concerns regarding biking in Stamford. I expressed a concern with road conditions downtown which have deteriorated as a result of poor repairs by contractors. Hopefully he makes this a priority in his administration. out the capital budget is important; and I agree. roads and sidewalks or traffic improvements. than willing to take a hard look at all of these issues if elected mayor. This is my first time to see this site. I really like. My brother wants to help my niece and nephew get started early so I am looking for kids cycle clothing to help my brother out. Anyways, that how I stumbled across this. I really like it. DIYBIKING.COM Presents: Folding Bike Week 2013!